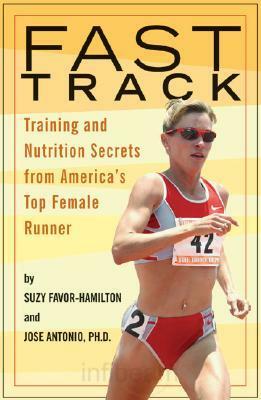 I picked up a new book at the library: “Fast Track: Training and Nutrition Secrets from America’s Top Female Runner” by Suzy Favor Hamilton. 1. Take a week off from running. 2. Bump up your caloric intake. Eat more everything, including protein, carbs and fat. 3. When you resume running, consume a protein shake right after you exercise. 4. Try to nap whenever possible. 5. Take a daily multivitamin/multimineral supplement. 6. Take a whey-protein meal-replacement powder once a day. 7. If you still feel tired, take another week off from running and repeat the steps above. Have you ever felt Over-trained? Or are you currently burned out from exercise? When I start to feel over-trained, I take a rest day. So far, that remedies that. I usually split my rest days up during the week (I prefer a Tues/Thurs rest). If one rest day doesn’t cut it, I take two rest days in a row. That’s done the trick for me so far. I guess the hard part is figuring out if it’s over training or just something that can be remedied with a few days off. Knock on wood, I can’t say I’ve ever been over-trained to the point where I needed to quit for an extended period of time. Some books suggested taking off an entire month of exercise–especially after the Racing Season ends. Recently I participated in the Reach the Beach bike ride (55 miles). Michael and I had been training every single weekend for over a month in preparation for that day. The hard work paid off! But at the same time, I also haven’t been on the bike since May 15th. Partly because of the weather, but also because I lacked the motivation to get on the bike for 6 hours. I no longer had a goal I was super focused on, and it was kind nice to switch back to focusing on my running. Other resources had suggested keeping a training log. Record all exercise and when things aren’t fun anymore, scale it back. I keep track of my exercise on my Google Calender. I force myself to take 2 days of rest each week–NO MATTER WHAT. The idea of taking an entire month off this fall to “rest” sounds frightening to me. Of course, I have my own baggage where I worry that if I stop exercising I will A) Gain back 110 pounds and B) Lose everything I’ve gained with my training. Question for all you runners: Have you taken a full month off from running after the official “season” is over? Did you see benefit in it? Please share your stories with me! I tend to get run down when I exercise too much. Colds and sore throats start to come on, and I’ll feel extra fatigued. When that happens I take more rest days, and stick to gentle walks and yoga. I like to go for one rest day per week. I have overtrained a couple times. I was lucky enough to catch it early to back off so it didn’t turn into full blown overtraining. I now know as soon as I start to not to want to work out, then I am close to overtraining! I’ll tell you what NOT to do.. don’t stop for that long! Twice I ran the Chicago Marathon, trained each time for 7-8 months, then as soon as it was over, I stopped…everything!!! The marathon was in October, and then I would do nothing until the following Feb. and then it was like starting all over again. My stamina was down, it took a while to build that up again, and the after the 2nd marathon I did the same exact thing! I think if you have built up a fitness level, but want to take a break, certainly take rest days, but maybe walk a day, or have a light bike ride just to stay in the game. I really needed that post. I am at that point now. I am not running as much as before (only about 22miles a week) but I am also cross training 3 days a week. I am tired, grumpy and getting achy. I actually have stopped my monthly cycle (TMI, I know) since February. It is time to scale back, but it is really, really scary to me. 22 miles is a lot! I do between 8-10 miles a week and cross train. Wow! This is very good advice. I’ve experienced this first hand. Taking time off in general is a must and if you don’t, your setting yourself up for failure. I personally cross train between running, biking and swimming with a brick or two in there as well. I cross train as well and if one activity is starting to bore me, I switch it up. I can tell when I am overtrained because I am crabby, not motivated and I get sick. Good post…thanks!